The Steelers have had seventeen players and coaches inducted into the Pro Football Hall of Fame, the fourth most of any franchise in the NFL. The fifth-oldest franchise in the NFL, the Steelers were founded as the Pittsburgh Pirates on July 8, 1933, by Art Rooney. The ownership of the Steelers has remained within the Rooney family since its founding. The current owner is Art's son, Dan Rooney, who has given much control of the franchise to his son Art Rooney II. The Steelers have been found by many as being the greatest NFL franchise ever established. The Steelers currently play their home games in Heinz Field on Pittsburgh's Northside. Built in 2001, the stadium replaced Three Rivers Stadium which hosted the Steelers for 31 seasons. The Pittsburgh Steelers of the NFL first took to the field as the Pittsburgh Pirates on September 20, 1933, losing 23-2 to the New York Giants. Through the 1930s, the Pirates never finished higher than second place in their division, or with a record better than 0.500 Pittsburgh did make history in 1938 by signing Byron White, a future justice of the U.S. Supreme Court, to what was at the time the biggest contract in NFL history, but he played only one year with the Pirates before signing with the Detroit Lions. During World War II, the Steelers experienced player shortages. They twice merged with other NFL franchises to field a team. In 1970, with the assimilation of the American Football League into the National Football League, the Pittsburgh Steelers were one of three old-guard NFL teams to switch to the newly-formed American Conference. This restructuring was necessary to equalize the number of teams in each of the two conferences following the AFL-NFL merger. Since the NFL merger in 1970, the Pittsburgh Steelers have compiled an overall record of 334-217-2, reached the playoffs 22 times, won their division 17 times, played in 13 AFC championship games, and won five of six Super Bowls. The Steelers logo is based on the Steelmark logo belonging to the American Iron and Steel Institute (AISI). Created by U.S. Steel Corp the logo contains three hypocycloids (diamond shapes). In the 1950s, when helmet logos became popular, the Steelers added players' numbers to either side of their gold helmets. Later that decade, the numbers were removed and in 1962, Cleveland's Republic Steel suggested to the Steelers that they use the Steelmark as a helmet logo. The Pittsburgh Steelers have three primary rivals, all within their division: (Cleveland Browns, Baltimore Ravens, and Cincinnati Bengals). They also have rivalries with other teams that arose from post-season battles in the past, most notably the New England Patriots, Oakland Raiders, and Dallas Cowboys. They also have an intrastate rivalry with the Philadelphia Eagles, but under the current scheduling rules the teams only play each other once every four years. 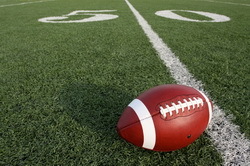 The two teams do, however, meet every year in preseason games, and are usually nationally televised on ESPN. In 2007, however, the two teams played their ritualistic preseason game on the NBC Network. Prior to the 2007 season, the Steelers introduced Steely McBeam as their official mascot. As part of the 75th anniversary celebrations of the team, his name was selected from a pool of 70,000 suggestions submitted by fans of the team. The new mascot has not been embraced by Steelers fans. In poll of over 33,000 voters, McBeam received approval from less than 10%. The Pittsburgh Post-Gazette named McBeam as one of the city's "dishonorable mentions" for 2007. Some have created Anti-Steely apparel, dubbing the mascot "Steely McStupid." Q:What is the criteria to get pittsburgh steelers tickets promotion code? A:There is no specific criteria to get promotion codes of pittsburgh steelers Tickets. Anybody can get it online by following simple instructions. Q:Are you still offering cheap steelers tickets? A:Yes! We are still offering pittsburgh steelers Ticketso n cheap rates with special discount codes. check them out online and place the order. Q:How much are the handling charges on pittsburgh steelers tickets? A:You can get your required details from the page of pittsburgh steelers Tickets. Q:Can I get my pittsburgh steelers 2013 tickets changed? A:Sorry, but your Pittsburgh Steelers Tickets cannot be changed.